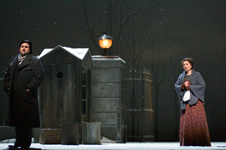 New staging of La Boheme on existing scenery for Seattle Opera, featuring soprano Nuccia Focile. 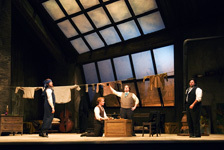 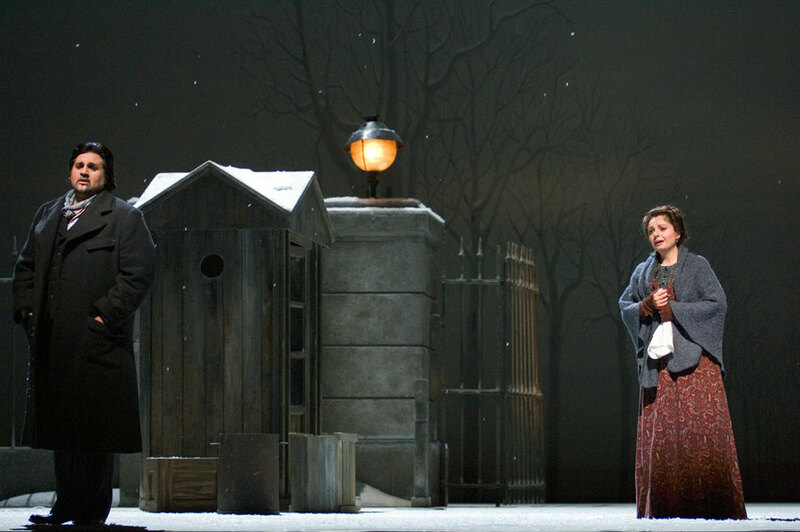 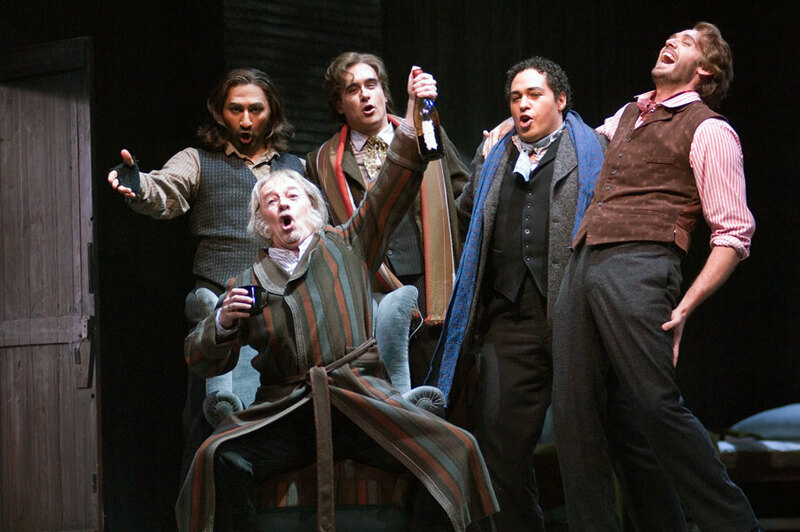 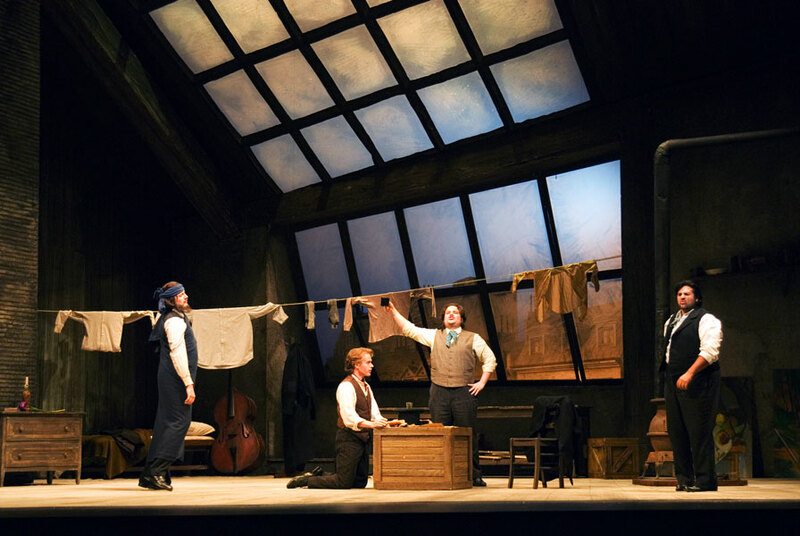 "FLAWLESS…Seattle Opera's handsome, impressively crafted La Bohème. 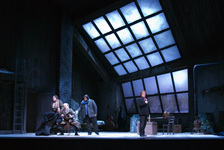 Director Jose Maria Condemi gives us the piece straight?this production expertly realized some many of those moments that make the opera beloved, living an breathing as a Bohème ought do to… it left me not only thoroughly engaged but freshly amazed at what a supreme example of music-theater this is"
"GEM OF LA BOHÈME AT SEATTLE OPERA… is such a well-crafted opera that in can survive almost any production but Seattle Opera isn't serving just any production. 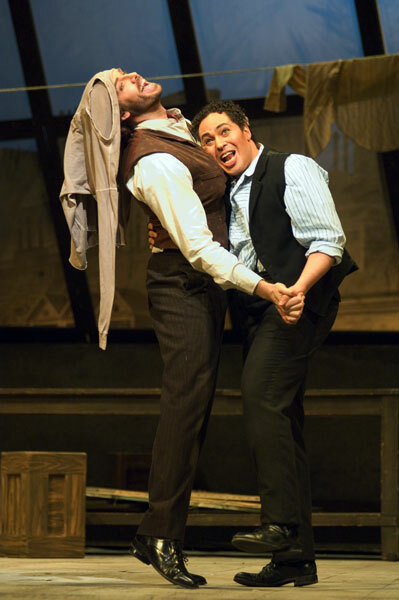 The show is a gem in which handsome sets, believable staging and careful casting all combine to great effect… .the action speeds along at an effortlessly natural pace, thanks to director Jose Maria Condemi. 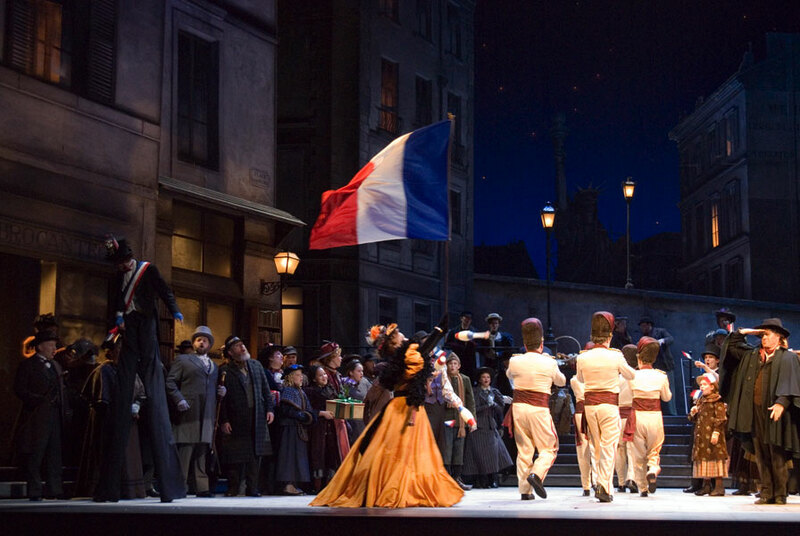 He has done a brilliant job at sorting out an impossible melee of street vendors and all the Bohemians in Act II. 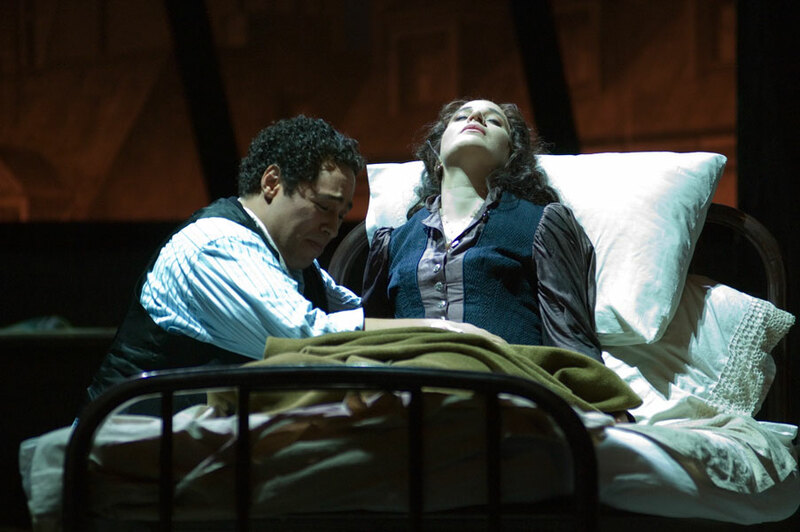 Condemi keeps the acting natural, perfectly attuned to both music and libretto… remember to bring your hankies, this one has a deathbed scene to wring the heart"
"THIS BOHÈME IS FRESH AND WARM AND TRUE TO PUCCINI… Seattle Opera's production is splendid and immensely satisfying. Jose Maria Condemi's staging works in defining character, creating tableaus and keeping the action moving. 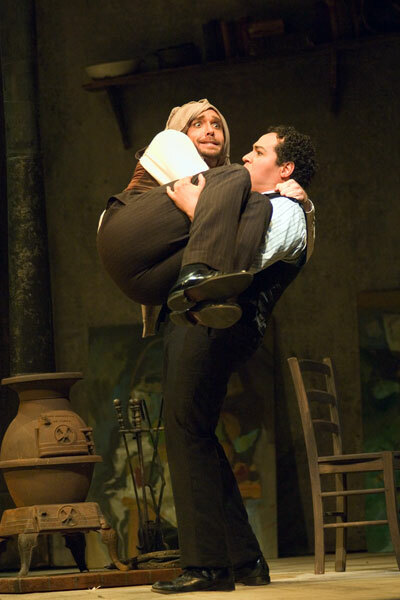 I suppose this is all predictable but the question is whether a production is fresh and warm. This one is"
"SEATTLE'S DEFT BOHEMIAN RHAPSODY… Seattle Opera's production is solidly grounded and sincere. Gimmicks and fussiness are absent, allowing Puccini to work his sure magic. 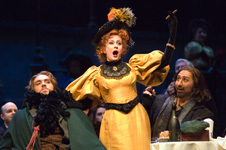 The second act epitomizes a director's challenge. Director Jose Maria Condemi is sensitive and alert to Puccinian detail"
"IT'S EASY TO FALL IN LOVE WITH THIS BOHÈME… Seattle Opera's production is a winning combination of sets, costumes, imaginative staging and strong vocal performances. 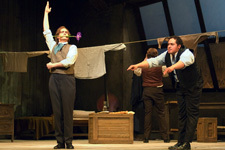 Director Jose Maria Condemi brings all the elements together to create a charming and irresistible production"
"BRILLIANT… a sumptuous production and a fine end to a season… Jose Maria Condemi's nuanced stage direction is a cohesive, no-nonsense approach in which everything works dramatically to the service of the story and the singers"
"ALL THE RIGHT NOTES… Under the able direction of Jose Maria Condemi, the singers have scrupulously developed their characters and relationships so that every moment builds on the one before it in an production that is emotionally gratifying and anything by stale"
"A GREAT DEAL OF PLEASURE… the stage action is managed in masterful fashion by director Jose Maria Condemi?he never puts a foot wrong, whether in the intimate scenes of the outer acts or in elucidating the tumultuous crush of persons that congregate in Act II"